When it comes to enjoying the great outdoors on a mountain bike, we cater for everyone, from the novice to the professional. We have more comfortable trails for the beginner if you really just want to experience the Karoo in a different way. If you can ride a bike, you can complete these trails easily. 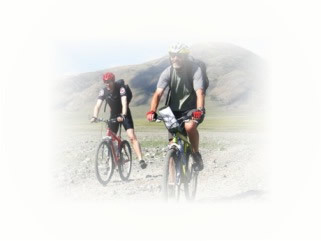 We also offer more challenging trails for the experienced rider. Get the adrenaline pumping while enjoying the fresh air of the Karoo. Along the way you can stay over at one of our overnight accommodations and conquer the rest of the trail after a peaceful night’s rest. All of our mountain biking trails will take you through breathtaking scenes of nature in all her splendour.